some winter days i just need a taste of summer, you know? this is the lightest, most simple and yummiest treat for those days when summer feels oh so far. you’ll forget for just a second that it’s cold outside. or serve it for dessert at your next dinner party, your friends will be impressed, it’s one of those dishes that tastes so sophisticated even though it’s incredibly simple. -use a small sharp knife to cut both ends off one orange. stand on board and run the knife from top to botton, cutting away the peel until just the juicy fruit is showing. place orange on side and slice into rounds. 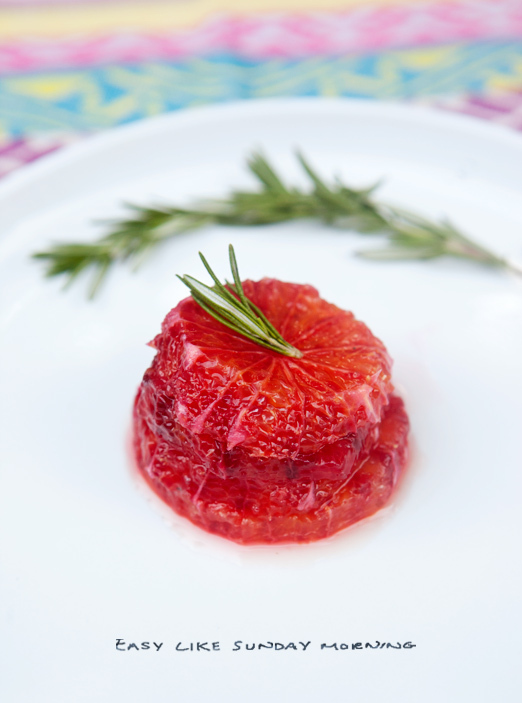 remove seeds and arrange oranges into little stacks, adding rosemary for garnish. -combine water, honey and rosemary in a pot and heat on very low setting (avoid boiling). let mixture cook for a few minutes, stirring occasionally. 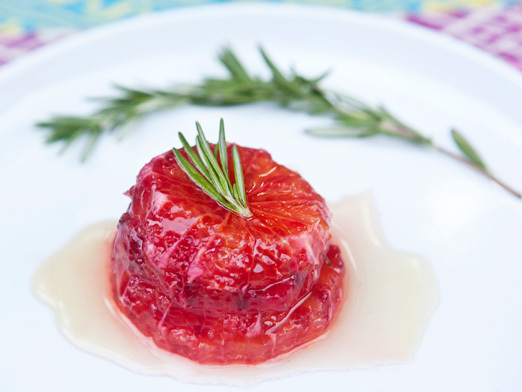 -remove rosemary from honey mixture and drizzle onto orange stacks.